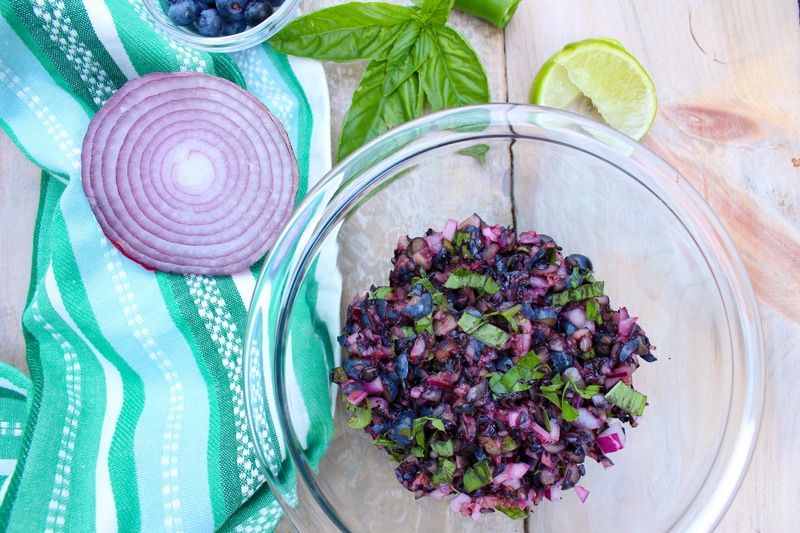 Homemade blueberry basil summer salsa is sweet with the perfect amount of kick! Serve with tortilla chips or on top of grilled chicken or fish. Blueberry picking season is one of my favorites. I could eat them by the handfuls and I usually do. As a result, I’ll run out of them before I can make something new with them. This year I told myself to show some self control and not eat them all up right away! 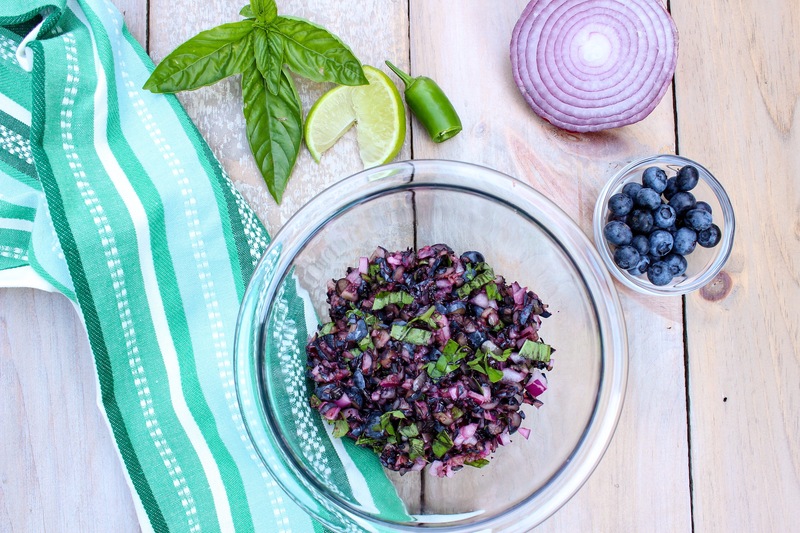 I am so thankful that worked and I was able to make this homemade fresh blueberry basil summer salsa. Sweet with the perfect amount of kick makes this the perfect happy hour snack on a sunny summer Friday night! This would also be great served on top of grilled chicken and fish. If I can hold off from snacking, I’ll make this again with a dinner dish! To read about what else I made with the blueberries, click here to read about my healthy blueberry and banana oat muffins. Place blueberries into a food processor and pulse until coarsely chopped. Pour into a serving bowl and add the rest of the ingredients, stir.